Arion plays admirably with precision and expression […] The recording captures all the details of both the solo instruments and the accompanying ensemble. – Tom Moore, Recording Reviews, 2011. 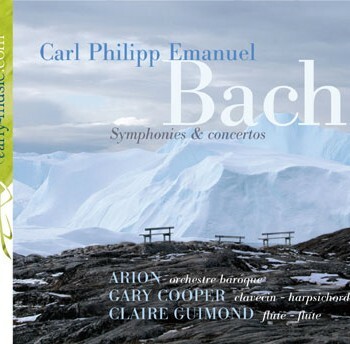 Gary Cooper ‘gets’ CPE Bach, placing every note perfectly […] Claire Guimond gives a performance that is at once demure and virtuosic. – Brian Clark. Early Music Review, 2010. Gary Cooper is now established as one of the foremost ambassadors of the harpsichord and fortepiano – in particular, as an interpreter of Bach’s & Mozart’s keyboard music – and as a director of period performance in concert, and in opera. Along with performances worldwide, he has made many recordings for TV, radio and CD, including an award-winning CD of Bach’s Well-Tempered Clavier. Adding to an extensive discography, solo recording projects range from Bach’s complete Keyboard Concerti and the Goldberg Variations, to Mozart’s and Haydn’s Piano Variations and Beethoven’s Diabelli Variations & late Bagatelles, all on original keyboards of the period. Gary Cooper’s association with Rachel Podger, has led this duo to perform around the world. 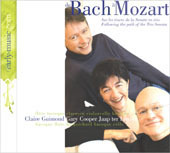 Their recordings of Mozart’s Complete Sonatas for Keyboard & Violin have received countless awards and accolades, including multiple Diapason d’Or awards and Gramophone Editor’s Choices, and have been hailed as ‘benchmark’ recordings. Their partnership also extends to orchestral projects, including the launch concert of a new international period instrument ensemble, ensembleF2. 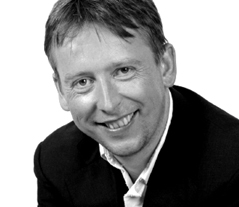 Gary is also an established conductor, having worked with many ensembles. 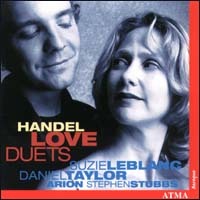 Recent operas include Alcina and Orlando by Handel and Mozart’s Die Entführung aus dem Seraglio. He directs the Akademie für Alte Musik in Berlin, receiving great acclaim at the 2007 and 2009 Potsdam Festivals. He also directs the Irish Baroque Orchestra and the Hanover Band. He performs regularly in North America where he directs the leading Canadian period instrument orchestra, Arion. Gary appears at major festivals such as the Flanders Festival, the Bruges, Utrecht, Potsdam and Innsbruck Early Music Festivals and throughout the UK. Gary currently teaches harpsichord & fortepiano at the Royal Welsh College of Music & Drama, Birmingham Conservatoire, is visiting professor of fortepiano at the Royal College of Music and regularly visits other conservatoires such as McGill University in Montreal. Claire Guimond is a leading baroque flutist, recognised first in Canada and now well established on the world scene. She is a founding member and artistic director of the Arion Baroque Orchestra, with which she has frequently toured in North and South America and Europe. She performs regularly with Tafelmusik, features in radio and TV broadcasts and plays at many festivals in Europe and North America, performing under such distinguished conductors as Ton Koopman, Andrew Parrott, Barthold Kuijken, Jordi Savall, Nicholas McGegan, Philippe Herreweghe and Bruno Weil. Ms. Guimond has an extensive discography of over 30 recordings distributed internationally. 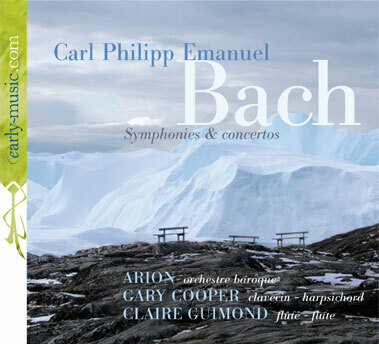 As well as Arion, these feature harpsichordists Gary Cooper and Luc Beausejour, cellist Jaap ter Linden and violinist Monica Huggett. She teaches baroque flute at McGill University and gives regular masterclasses notably at the Tafelmusik Baroque Summer Institute. Claire Guimond is a member of early-music.com, a site devoted to the promotion of some of the world’s finest early music musicians. 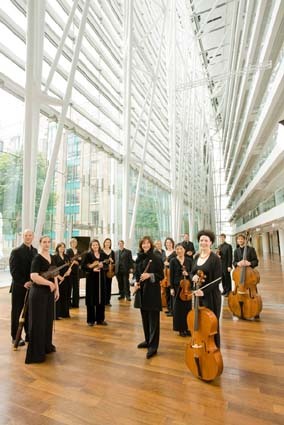 Arion is a Montreal-based baroque orchestra performing on period instruments. The ensemble was founded in 1981 by flautist Claire Guimond, violinist Chantal Rémillard, gambist Betsy MacMillan and harpsichordist Hank Knox. 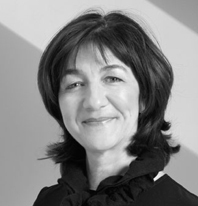 Claire Guimond has been Arion’s artistic director ever since its first concerts. From the outset, Arion’s concerts were unanimously hailed for their clarity and gusto as well as their refined and expressive performances, chosen from a vast array of early music works. A meticulous attention to detail has placed Arion’s artistic achievements amongst those of the greatest current early music ensembles. The orchestra calls upon world-renowned guest conductors to perform vocal and instrumental works in its high-profile series of concerts in Montreal. They include Jaap ter Linden, Monica Huggett, Barthold Kuijken, Stefano Montanari, Alex Weimann and Elizabeth Wallfisch. A recipient of numerous awards and grants, Arion has toured extensively throughout Canada, Europe, Mexico, Japan and the United States. 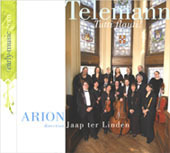 Both as a quartet and as an orchestra, Arion has a discography of 26 CDs distributed internationally. Arion is a member of www.early-music.com, a site committed to the promotion of some of the world’s finest early music artists. Under exclusive licence with Les Productions early-music.com inc.